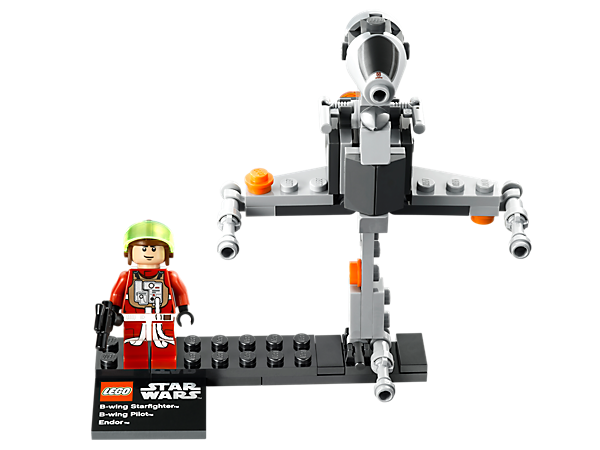 Build starfighter B-wing ™, one of the most heavily armed ships of the Rebel Alliance! This ship is equipped with heavy artillery, including ion cannons, proton torpedo launchers and laser guns. Help attack the Death Star in the battle of Endor ™ mini-model of stellar B-wing fighter from the movie "Star Wars ™: Episode VI. Return of the Jedi ™ »! 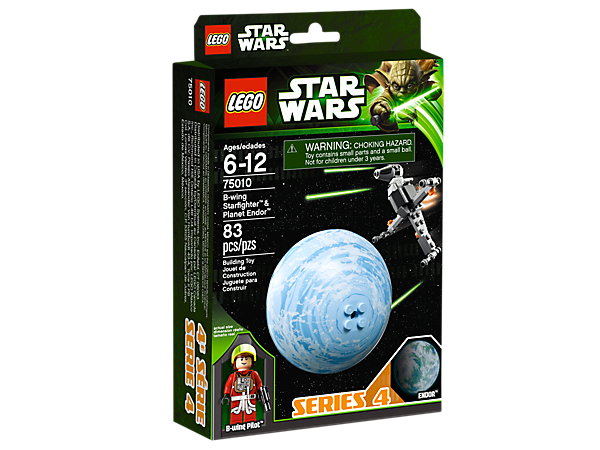 The kit includes Suspension planet Endor mini model starfighter B-wing, pilot minifigures,starfighter B-wing and stand with the name. 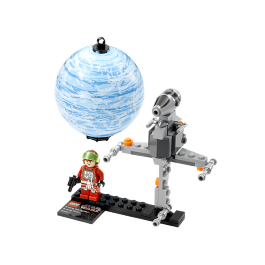 Features: Suspended planet Endor ™, mini- fighter model B-Wing Starfighter ™ and pilot minifigures! The kit also includes a stand with a sign! 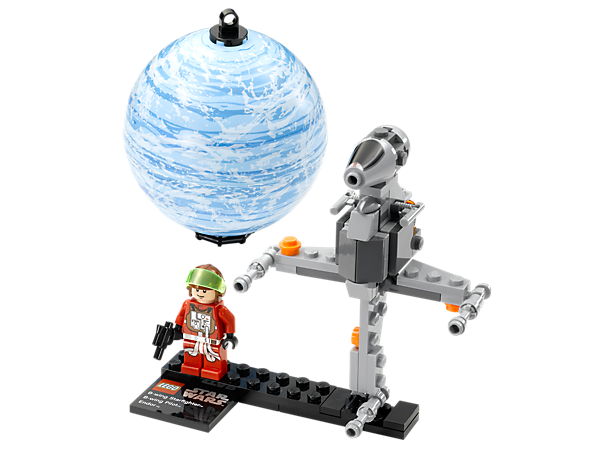 Diameter of the planet Endor ™ is more than 8 cm! Dimensions mini ship: height 10 cm, length 4 cm, width 8 cm!